No matter how much effort you put in maintaining the functionality of drainage, there will still come a point when you have to clean it. Some remedies can be with the use of commercial products or with the traditional vinegar and baking soda trick. But when all else fails, you need to seek the help of a professional, and you can count on our company for that kind of service. Hair balls that blocked the “U” connection in your sink’s pipe are not the only reasons why drainage gets blocked; the task might be bigger than that. Our professional plumbers have the modern tools, like camera, to inspect your sink down to the drainage system. By doing this, they will be able to detect where the problem comes from. We also have high-pressure jets to clean your drainage and sewerage systems with the use of pressure if there are no serious problems detected by the cameras. We also offer a regular plumbing maintenance program to help you prevent experiencing blocked drains again in the future. Again, our commitment is customer satisfaction when it comes to professional drain cleaning services. We make sure that we accomplish every task efficiently in a timely manner at reasonable costs. We gladly serve people in the Hills District and its surrounding areas, so if you are having troubles with your sinks and toilets, let us know and we’ll be glad to assist you. Please feel free to call us at (02) 8310 4463 for a free quote and for a reputable Hills drain cleaning and sewer line cleaning specialist. 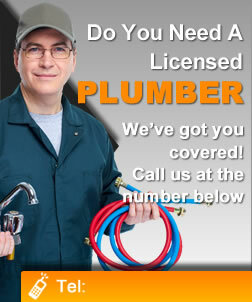 We promise that we are always open to address all your commercial and residential plumbing needs. Our friendly customer service representatives will be glad to assist you.